Here is my newest oil painting I made recently in March 2016 and I’m curious how you like it! 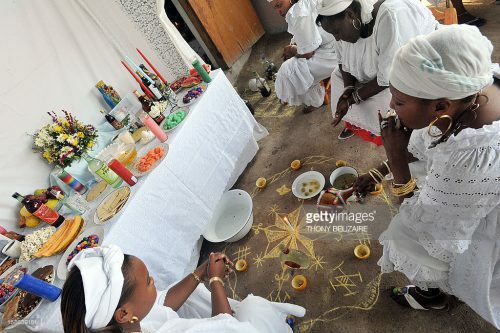 I found out, that the most popular female Petro Lwa in Haitian voodoo religion (also in New Orleans) is served with the image of our Polish Black Madonna of Czestochowa, the famous scared Holy Virgin painting from the Jasna Gora Sanctuary. Erzulie has also two cuts in her face. And I asked myself why? I found out it is because of her sister Erzulie Freda Dahomey. 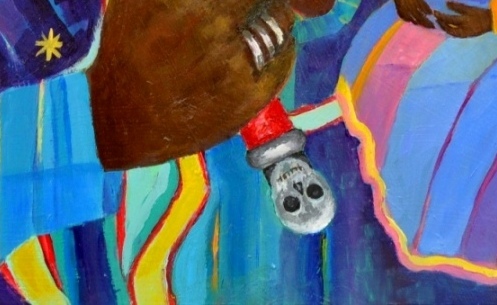 The backstory to the painting in Voodoo lore is of a mother fiercely protective of the daughter (not son) she carries. She loves knives and received the facial scars fighting with her sister Erzulie Freda. The scars are a sign of the strength of Erzulie Dantor: She is wounded but keeps going. 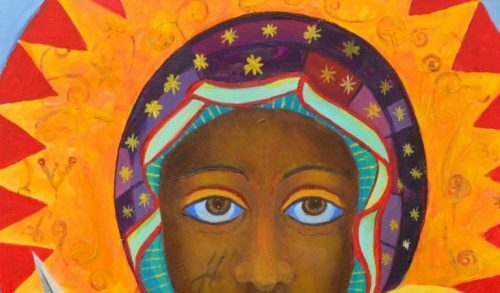 So inspired I painted my own vision of the Mama Mambo Erzulie Dantor. This is an oil painting on hdf board. Sized 30 x 40 cm. 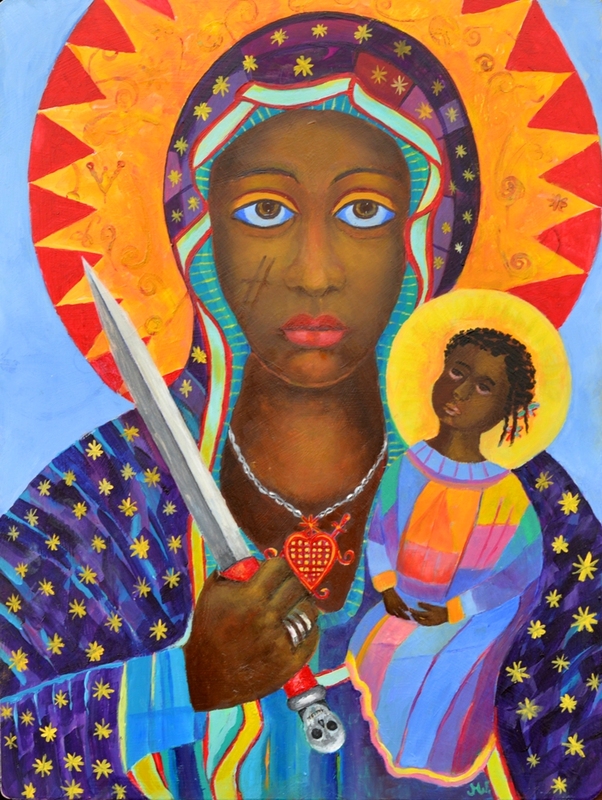 You can see Erzulie Dantor holding a little African or Haitian girl and a sword with a red handle and a silver skull. She is wearing three silver rings on the finger. 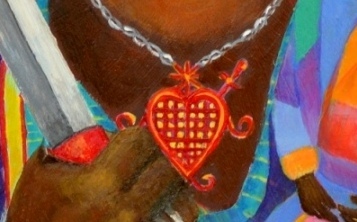 Erzulie Dantor is wearing a silver chain with her personal Erzulie veve, which ist a heart with a dagger through it. 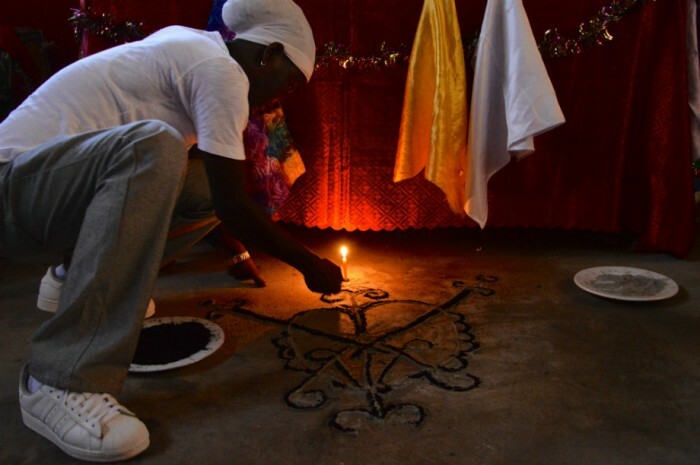 A veve is a tribal symbol, a ritual drawing used by the Voodoo practicioners during their ceremonies, a sacred symbol used to invoke and represent a particular lwa. The Erzulie Dantor veve is also around her head in the yellow field. Erzulie Dantor stands for love, women, beauty and passion. She is said to be a triple Goddess and has three names, Erzulie Freda who is likened to the Virgin Mary, Erzulie Dantor who is the loa of passion and jealousy and La Siren who is a sea Goddess representing the mother. 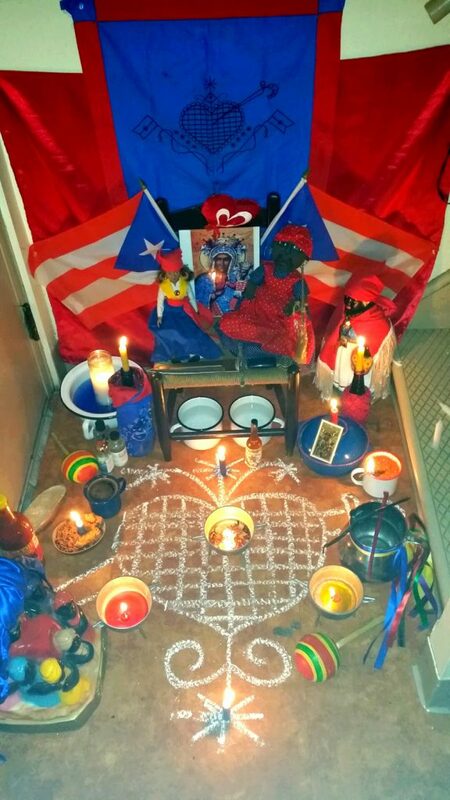 Dantor is also served with images of Mater Salvatoris, sometimes also known as Santa Barbara Africana. She is also associated with other Madonnas who hold a child such as Our Lady of Mount Carmel. 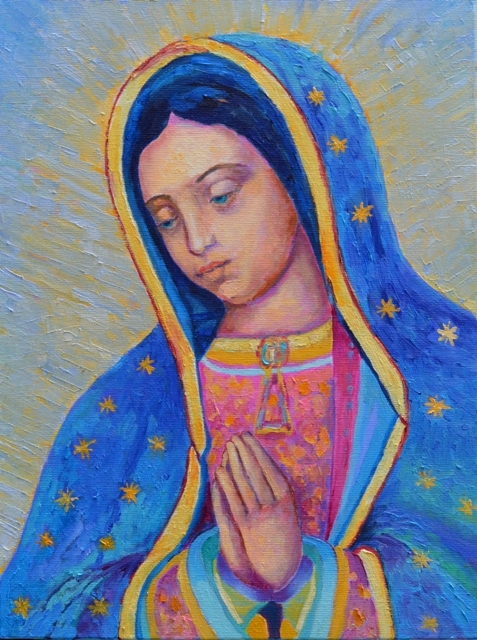 Other images include Our Lady of Lourdes and Our Lady of Perpetual Help.